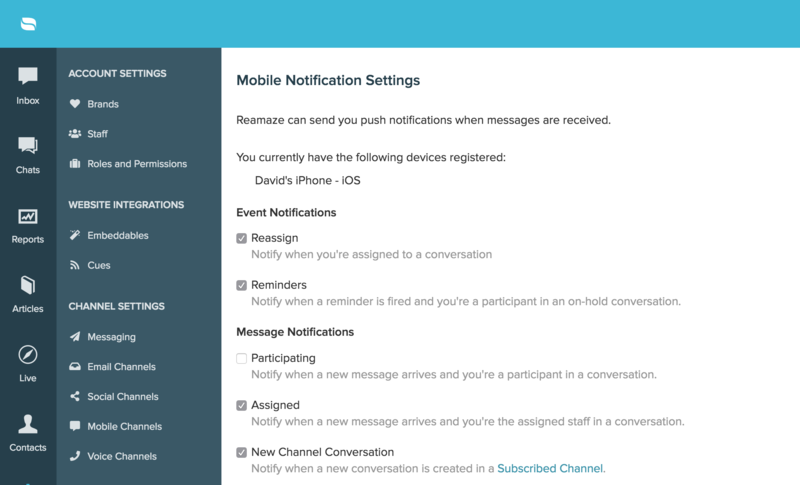 Notifications make up the foundation of being able to use Re:amaze on a daily basis. You can use Re:amaze without any notifications turned on but that requires constant monitoring of the Re:amaze dashboard either through a web browser or through our mobile iOS/Android apps. 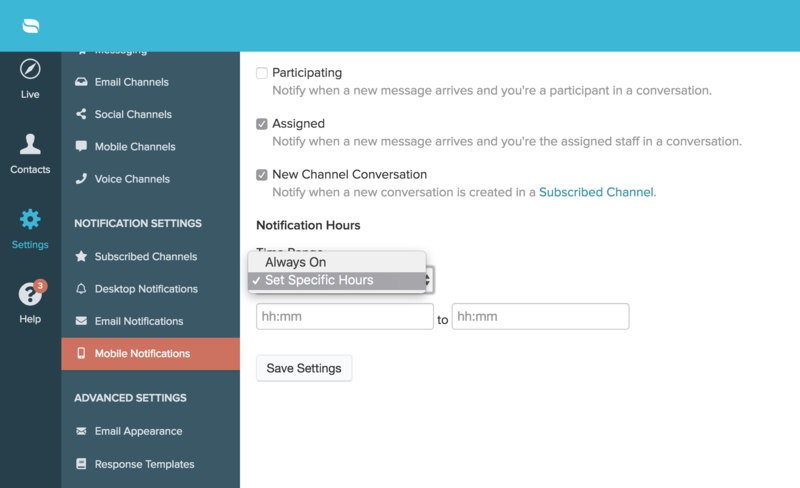 Before picking what types of notifications you want, you need to pick which channels you want notifications from. This is central to keeping your notifications well managed. If you choose to not receive zero notifications for a particular channel, it's not necessary to uncheck the various types of notifications. Simply don't subscribe to it! So start here. Recommendation: Subscribe to notifications for only the channels you'll be working in. For example, if your team has a dedicated social media manager and your support duties don't include social media, uncheck all social media channels. Desktop notifications are extremely convenient if you're working in the Re:amaze dashboard on a modern web browser such as Chrome or Firefox. 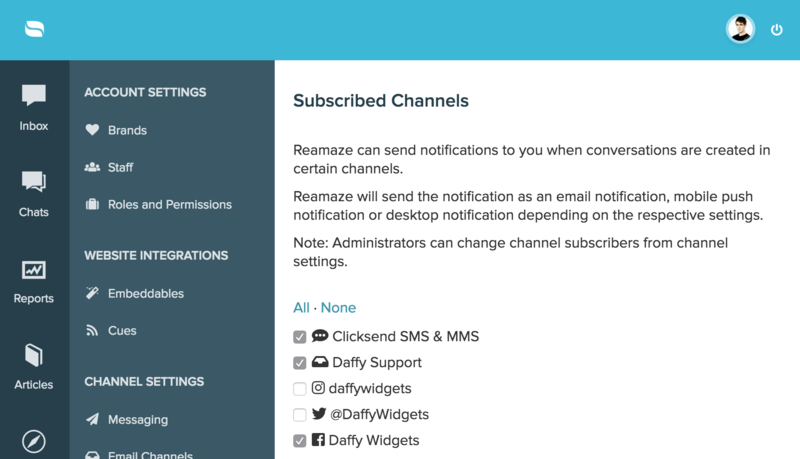 When customers message you or reply to you, Re:amaze will send a notification to you via your browser. If you're using a Mac based computer, these notifications will be stored in the notifications center. You can also refer to this article for more about how this works. Recommendation: Always turn on desktop notifications. Email notifications can be very useful or very annoying and everyone chooses to utilize them in their own way. If you want notifications for every single event that occurs inside Re:amaze, check the "Verbose" option. Event notifications are broken into "Reassign" and "Reminders". If you want notifications for when someone reassigns something to you or when a reminder is triggered, check these. Message notifications are key and very important so pick wisely here. Echos are email notifications are copies of messages that you send back to customers. If you want a copy of what you say to customers to arrive in your personal email address as Re:amaze notifications, check this option. Participating are email notifications of message details sent to your personal email address for conversations that you're following (note recipient or clicking on the follow button in the conversation), for conversations that you have at least one response in, or if you're assigned to the conversation. Assigned are email notifications that go to your personal email address for conversations that are assigned to you. 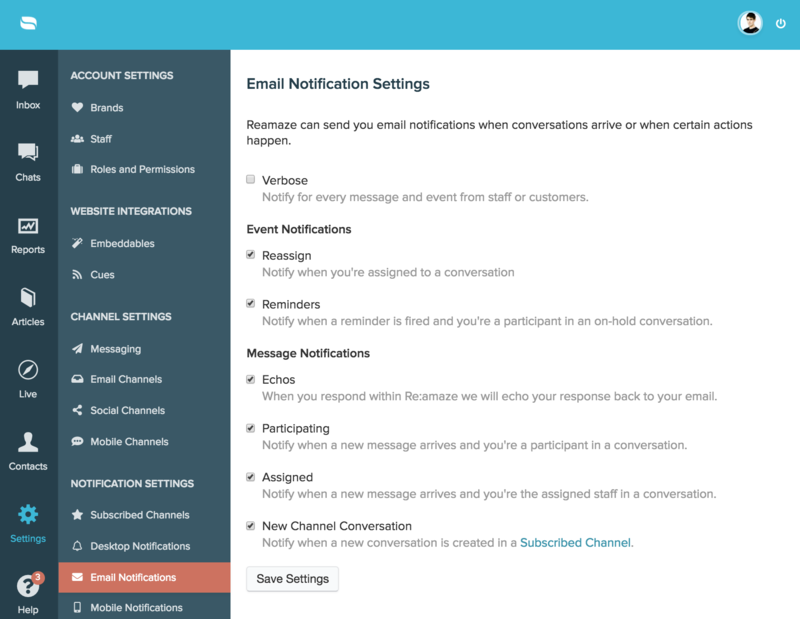 New Channel Conversation are email notifications that are sent to your personal email address for brand new incoming conversations.